Last year, I won a free year of Spotify Premium sponsored through a Spotify Twitter giveaway. It was a sweet, sweet year. I discovered new artists and rediscovered favorite songs. Most importantly, Spotify provided access to my sons' night-night music all ad-free. Nothings more annoying than a commercial waking you're almost asleep toddler. I have subscribed to Pandora Premium in the past specifically for the sleep playlists, but it uses too much data when you're offline. so I decided just to cancel it. Spotify has a large selection of other sleep-inducing music, all ad-free thanks to the Premium service. Now that my free year of Spotify Premium is over I can't use it to put my kids to sleep. I also miss listening to lists and lists of music offline, not wasting data. As much as Spotify Premium had become part of my driving ritual, I am hesitant to sign up for the $9.99/month premium plan. Luckily, around the time my free subscription ended, I learned about Amazon Prime Music. Amazon Prime Music is a similar service to Spotify, but you must be an Amazon Prime subscriber, which is $99.00 per a year. As an Amazon Prime member you also get free 2-day shipping (sometimes same-day depending on the item), Prime Instant Video, and Prime Photo (cloud storage). I am an Amazon addict, and have become even more so since I had kids. So, I subscribed to Amazon Mom and I buy all sorts of stuff -- I get baby stuff, makeup, skincare, clothes, shoes, etc., So, I was stoked to take advantage of my Amazon Prime subscription Offline Playlists. Amazon Prime and Spotify Premium both allow subscribers to listen to previously downloaded songs/playlists offline, meaning no wireless data is being used up. HypeM and Soundcloud, my other favorite music apps, do not offer offline listening, but I really wish they did! Please tell me I am not the only mom who play's hip-hop in the car... I cannot listen to half the music I listened to before motherhood. Amazon Prime Music offers a lot of “CLEAN” aka censored music. For example, there is a censored version Outkast's Atliens and Aquemini. Amazon Prime Music is great for parents who want to listen to music without exposing their kids to vulgarity. I can't with the Barney and KidsPop, seriously. Spotify has a larger variety of music, both popular and obscure genres. 90% of the time, if you think of it, you can find it on Spotify. For example, Spotify streams everything from Sade to Nicki Minaj, all in full album form (sometimes both regular and deluxe editions). Spotify also has a variety of less heard of good music like from Tristeza, Mum, Devendra Banhart, Anticon, G-Eazy, Dj Shadow, Handsomeboy Modeling School... But, Amazon Prime does have Aaliyah's Age Ain't Nothin But a Numba album and Spotify doesn', 2pac, Outkast, and enough for me to be happy in the car. In the end, each service carries a different variety of music, so depending on your taste, maybe one service is better for you than the other. In my eyes –- actually, ears, both are really great music services. If you have Amazon Prime, Amazon Prime Music offers a good variety and may satisfy your musical appetite, and for me, right now, I am satisfied with listening to CLEAN versions of Wu-Tang, and 2Pac. However, if you are more of a audiophile, then maybe think about splurging on the Spotify. Students get 50% off, too! I hope this was helpful! 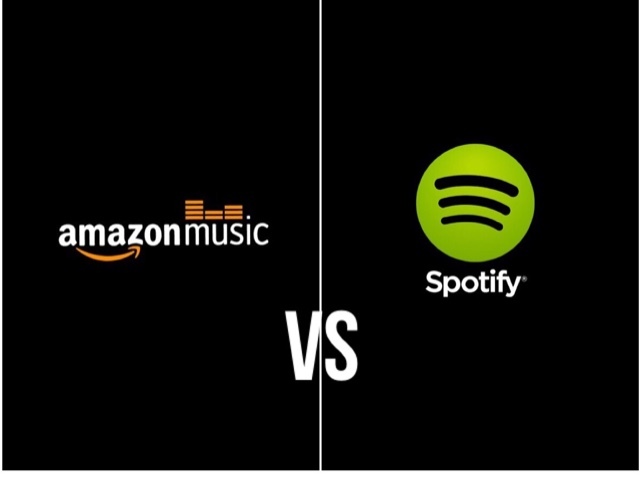 Do you subscribe to any music service? What's your favorite?